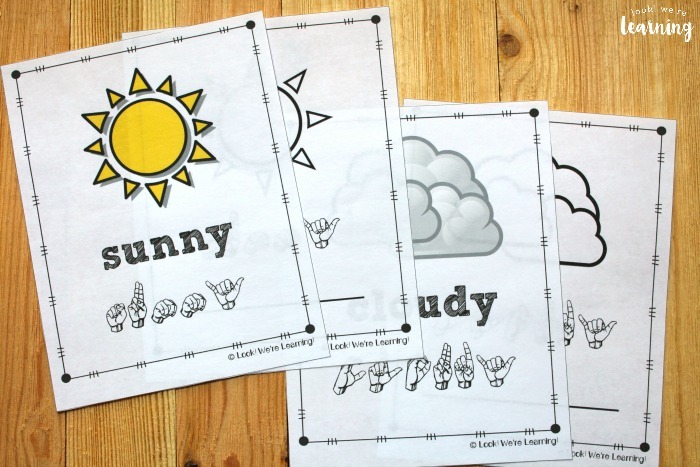 Weather ASL Coloring Pages - Look! We're Learning! 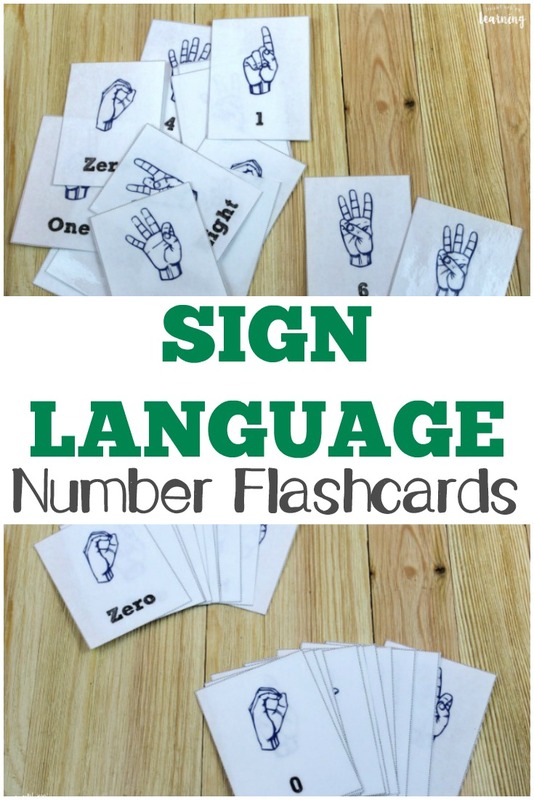 It’s been a while since I shared some sign language printables with you guys, but no more! Last week, I shared our set of printable Spanish flashcards: Spanish Weather Flashcards. 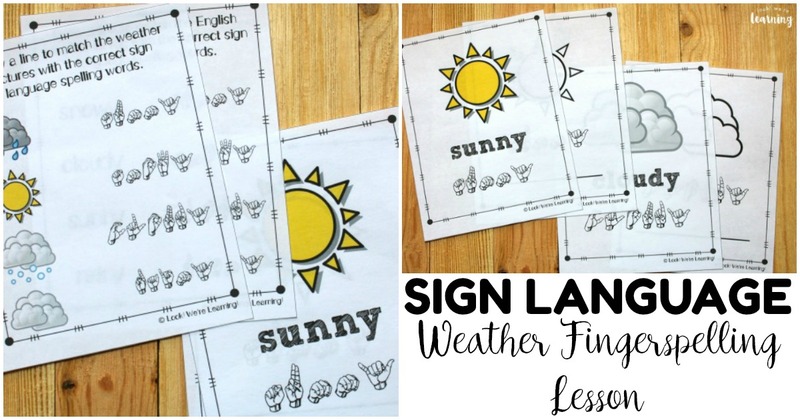 Today I’m sharing a new sign language resource: Weather ASL Coloring Pages: ASL Weather Fingerspelling Worksheets! 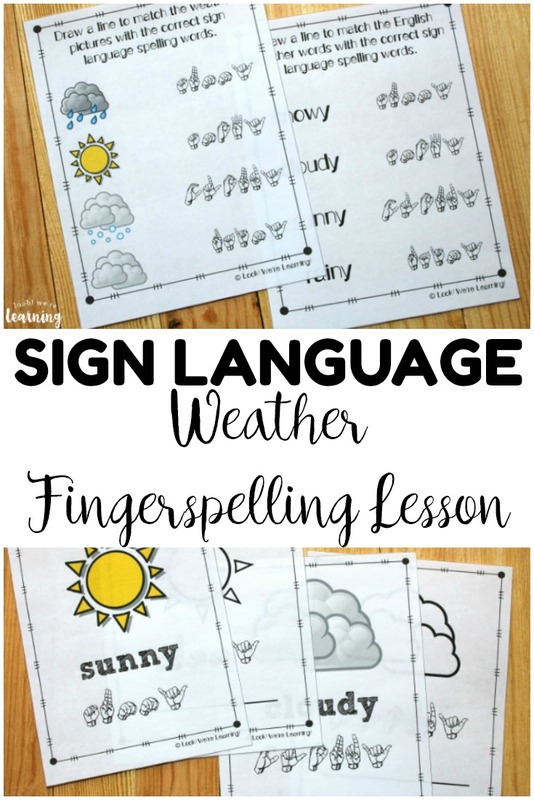 These are fun for practicing sign language fingerspelling, but they’d also be great for a weather unit! Read on to get your copy! And if you love these, don’t miss our list of American Sign Language resources for homeschoolers! 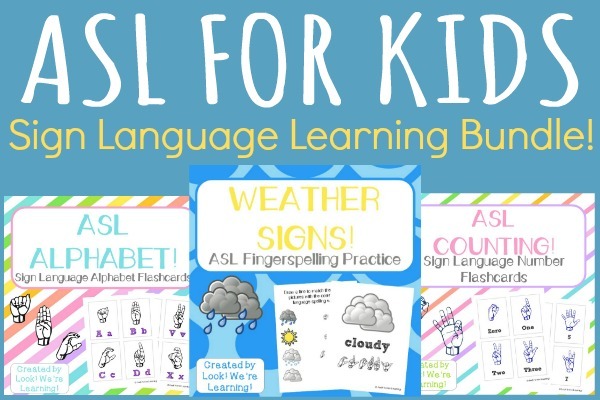 Kids can study the ASL letters on the color printables to learn which letters match up with the English alphabet. Then they can color the black and white page and write the English word on each blank line under the ASL spelling. 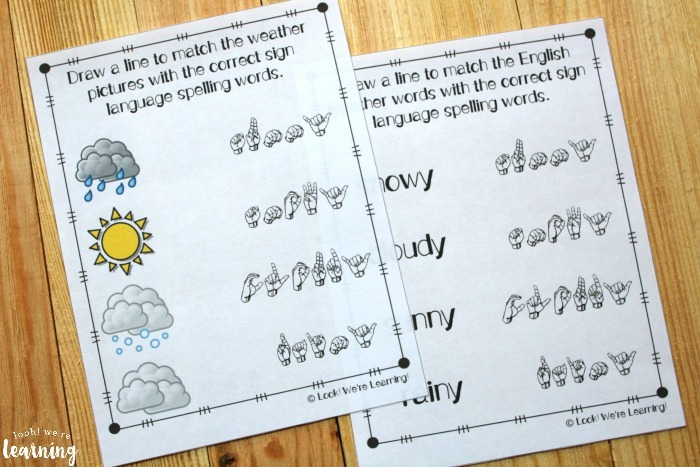 Plus, students can get additional practice by matching each fingerspelled weather word to the correct English word and picture. Perfect for early learners who are working on spelling skills! 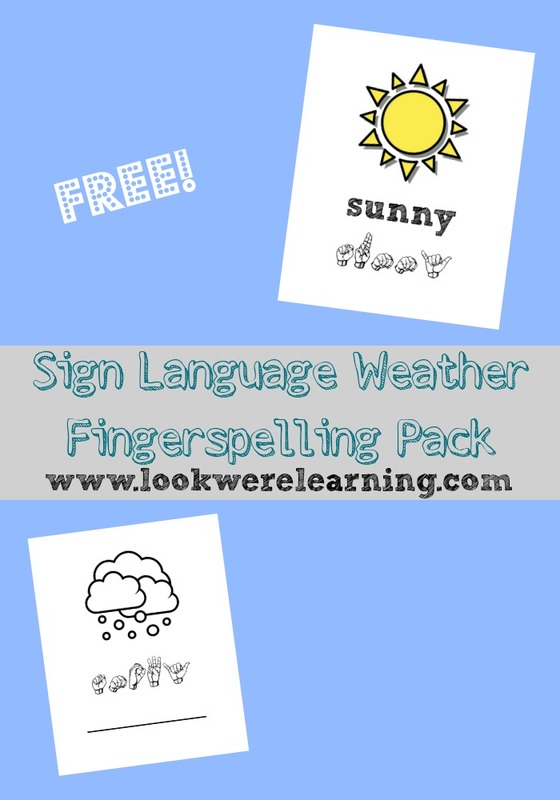 If you want to learn ASL weather signs (not spellings), check out our free video lesson: How to Sign Weather and the Seasons in ASL! 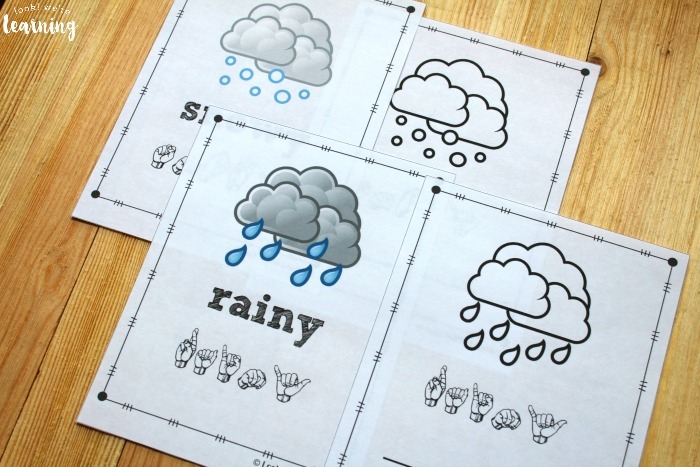 Scroll on down to get your ASL Weather Coloring Pages! 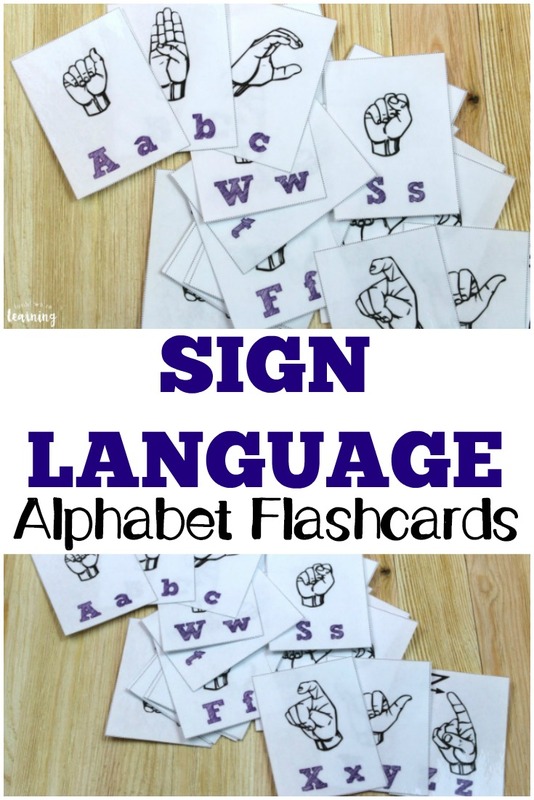 Don’t miss our other sign language printables! 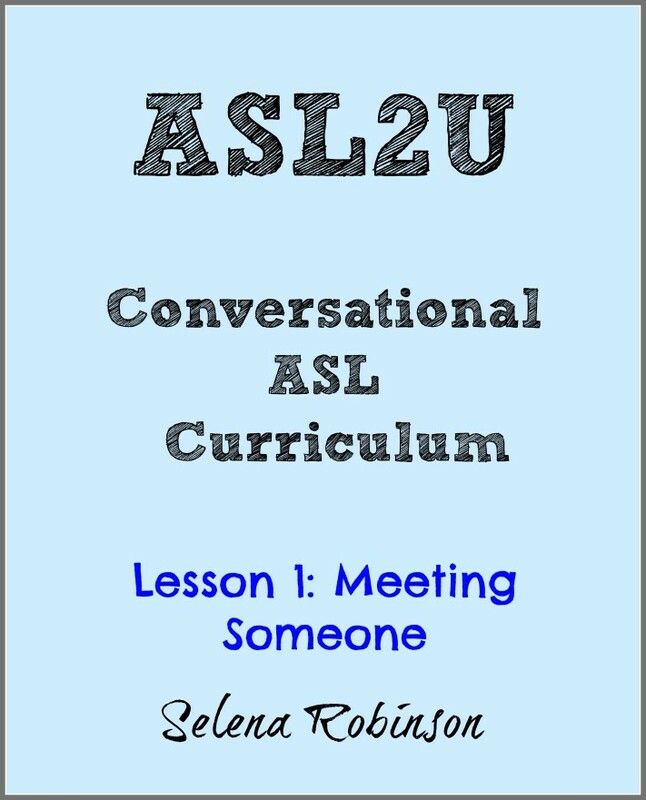 Get even more resources for learning ASL by following me on Pinterest! 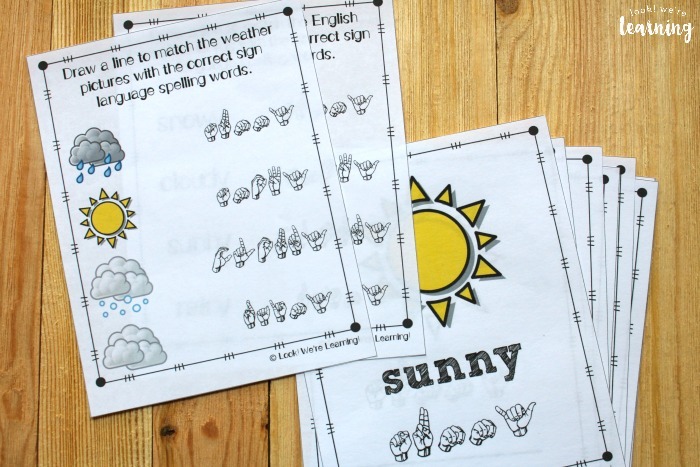 To get your copy of our Weather ASL Coloring Pages, pick up our ASL for Kids Learning Bundle! 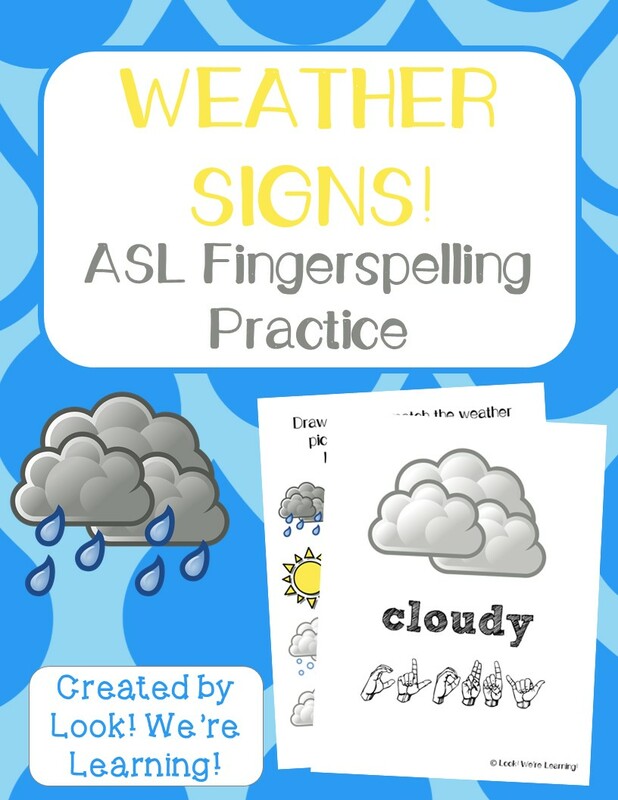 It has our ASL alphabet flashcards, our ASL number flashcards, and these weather ASL fingerspelling printables inside!